Due to the insane costs of shipping imposed by Australia Post, we can - at this time - only ship silver products within Australia, at the prices seen below. We can still ship to the U.K & U.S. (not to Europe). please contact us here, if you are prepared to pay extra shipping costs for international shipping from Australia. Colloidal / Ionic Silver Blend. Blending both elements of silver allows for a wider range of usage. 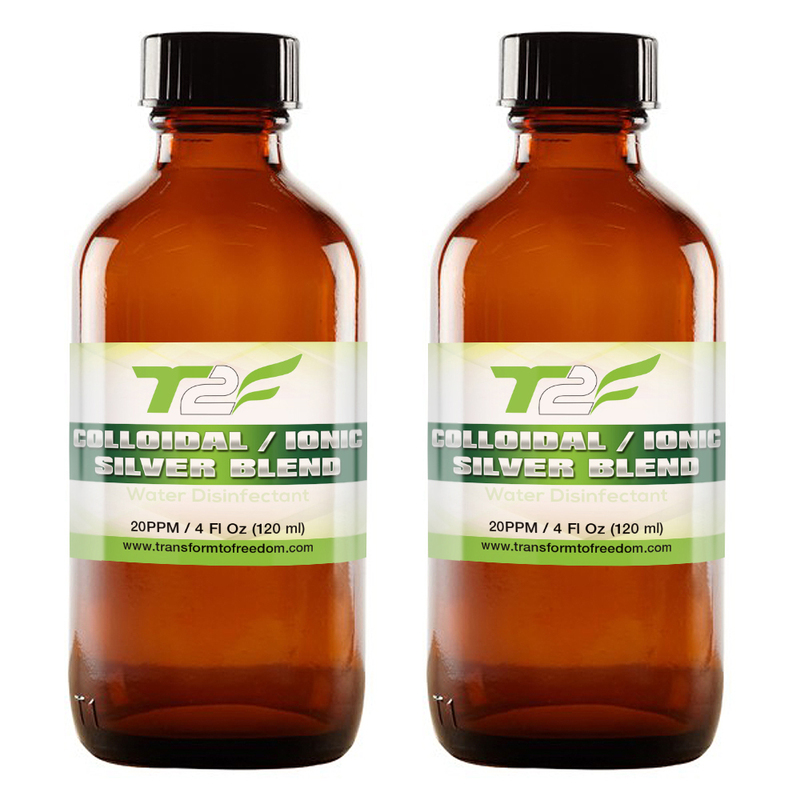 Colloidal Ionic Silver Blend is our best seller So, What is Colloidal / Ionic Silver Blend? Keep out of direct sunlight. Never allow to freeze. You`ll receive full product-care instructions with your purchase. The shipping price is included in the Total price for each product. People have reported using Colloidal/Ionic silver for: Skin Rashes (and Fungus), Cuts and/or abrasions, for warts and 101 other uses: Read How. We`ve calculated our shipping prices to enable a compromise between the lowest shipping price, and fastest delivery. Expected delivery is 6 - 8 days, via Airmail. Total price for each product includes shipping. People Have reported using Colloidal / Ionic Silver to sterilise kitchens, cutlery, Toilets, curtains, and 101 other uses. Read More. We do not charge a handling fee. We consider "handling" simply a part of the product and services we provide. Expected delivery is 6 - 8 days, via Airmail. Total price for each product includes shipping. People have reported that Colloidal / Ionic Silver Blend is perfect for use in nasal sprays, eye/ear droppers, and particularly for use in nebulisers. You can see some recommended usages. Total price for each bag includes shipping. We are legally required, by the FDA, the AMA, the TGA, et al, not to make any statements regards the Efficacy of colloidal & related silver products. We are legally required not, necessarily, to encourage the drinking of silver products, and we are not legally allowed to label our silver as healing, or health supplement, products. We are legally required to label our products as "Water Disinfectant" only. We are not legally allowed to market or promote our silver products as anything but, which is fine. We`ll allow the research of scientists in the United States and Japan to speak for us. We do, however, conscientiously endeavour to adhere to these legal restrictions.